This fact sheet provides a brief overview of some good soil and water stewardship practices for horse owners. It focuses on basic pasture and paddock management and on manure management. Two manure treatment options, composting and fertilizer nitrogen enhancement, are presented along with a method to calculate the proper manure application rate on pastures and crops. management system that uses the fertilizer nutrients in the manure without polluting the environment. 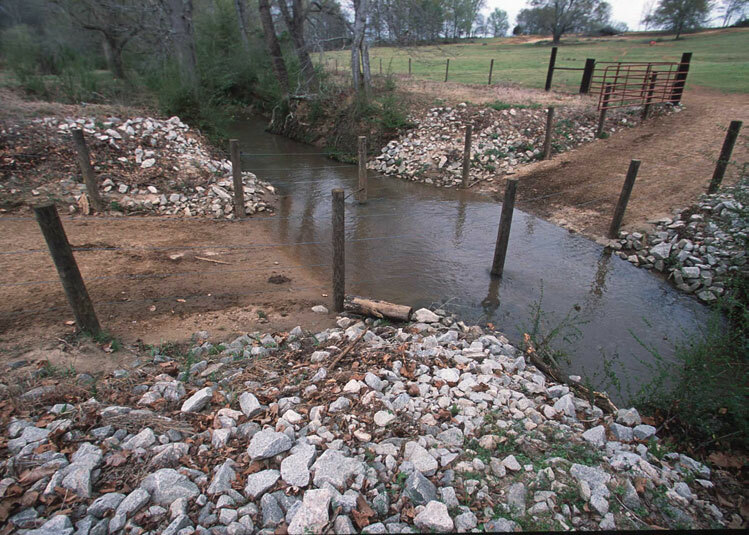 They need pasture and paddock manage- ment to keep soil and manure on fields and out of streams and ponds (Figure 1). Finally, they need to get along with their neighbors. itches, streams, and lakes, polluting them. The trick is to put just enough manure on a field to help the crop grow and no more. How Much Manure is Enough? To determine how much manure is enough, follow the three steps discussed below, and see the example in the box. 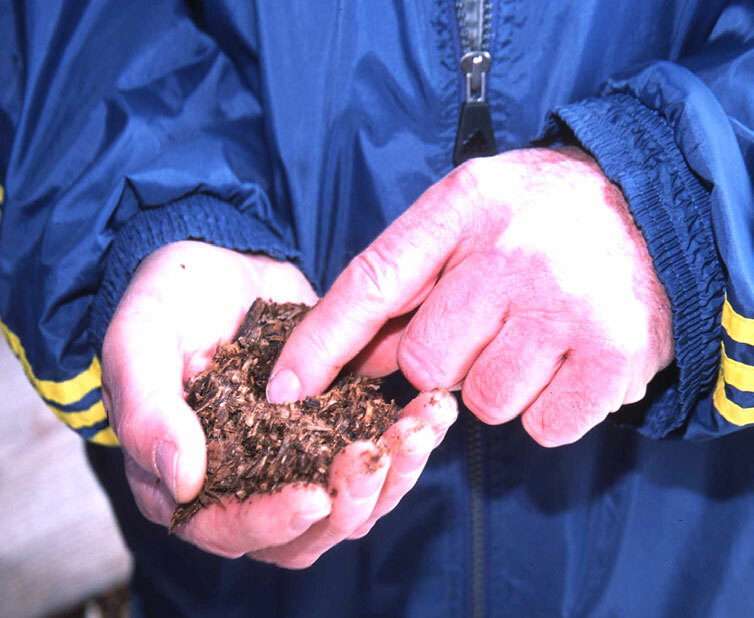 Get a soil test for the field where you plan to spread the manure. This test will tell you the amount of fertilizer and manure nutrients that the crop needs. See your County Extension Office for information on soil testing. Step 3: Look at the N and P2O5 numbers from the soil test. Therefore, you will need at least 1 acre of pasture to spread the manure and use the That is just enough. sample to send to the labora- tory. Most people use book values and that is okay. In general, a 1,000-pound horse will produce about 8 tons of manure per year. After account- ing for storage and spreading losses, a ton of horse manure has around 4 pounds of N, 5 pounds of P2O5, and 9 pounds of K2O. So a 1,000-pound horse will produce about 32 pounds of N, 40 pounds of P2O5, and 72 pounds of K2O in a year. If the horse is on pasture half of the time and in a stall the other half, then half of the total nutrients will be collected in the manure pile and spread on crops. Note: Double these numbers for a 2,000-pound draft horse, and cut them in half for a 500- pound pony. In general, a 1,000- pound horse will produce 8 tons of manure per year. Now look at the total amount of nutrients needed for the crop (Step 1) and the total nutrients in the manure pile (Step 2). and bedding per year. 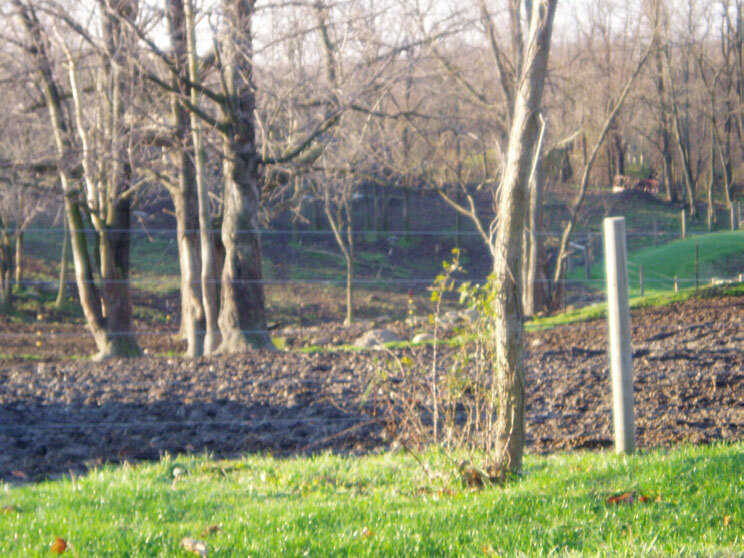 To limit runoff, manure should be stored at least 50 feet from any drain- age way or water course and be surrounded by grass (Figure 2). funds may be available to help with the cost of building manure storage structures. 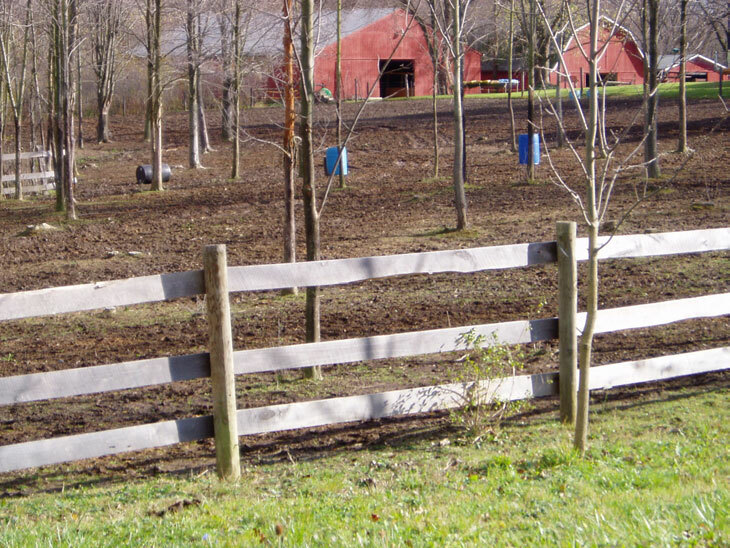 The basic environmental goals of horse pasture manage- ment are fairly simple. In a pasture, plenty of grass and other plants are good. Brown water, from soil and manure running off of a bare pasture, is very bad. Proper fertilization, fencing, and feed and watering station layout can all increase a pasture’s productivity. Keep in mind that it is generally better to have several small pastures than a single large one (Figure 4). and to carefully plan any necessary stream crossings (Figure 5). Depending on feeding goals and the region of the country, the recommended amount of pasture needed per horse ranges from about ½ acre to 2 acres. 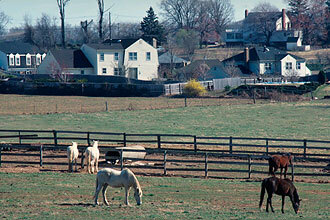 If you do not have ample pasture, you may need to limit the amount of time that the horses are allowed out. The recommended amount of pasture needed per horse ranges from about ½ acre to 2 acres. A small “sacrifice paddock” where the horses exercise when they cannot be on pasture is an excellent management tool. Better yet, ask your local office of the USDA NRCS or Conservation District for help in designing a “horse exercise lot” or “heavy-use pad” for an all-weather horse exercise area. 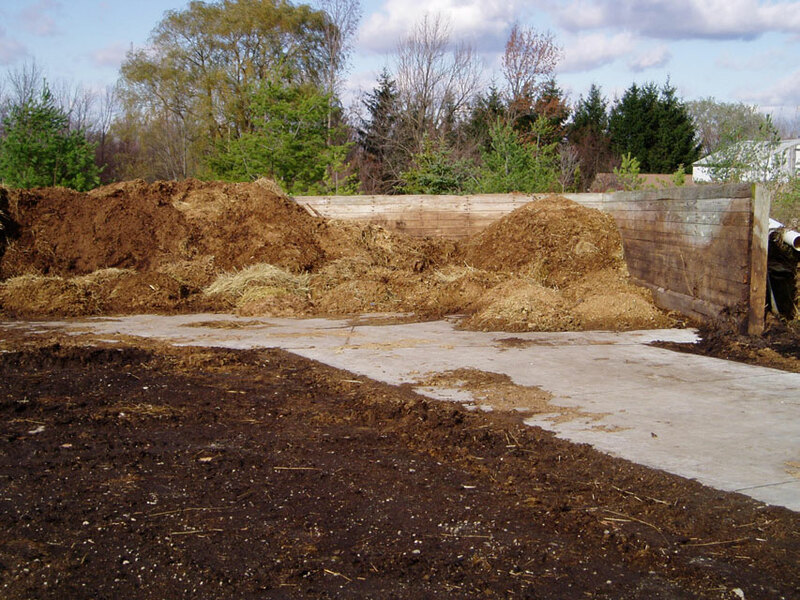 Horse manure mixed with straw, old hay, or paper product bedding materials is very similar to other livestock manure. It can be used raw for crops. In general, these products are also easy to compost, which increases the number of disposal and use options. not want to stunt their crops, horse owners using these bedding products are left with few good options for disposing of the manure. Horse owners using sawdust or wood- chips have few good options for manure disposal. balanced diet and they need nitrogen. They find that nitro- gen in the soil and collect it better than plants do. In fact, they do it so well that the plants growing in the soil cannot find enough nitrogen to grow properly. That is called an “induced nitrogen deficiency,” and it stunts crops. There are at least two, very different ways to overcome this nitrogen deficiency problem. One option is a nitrogen en- hancement system in which specific nitrogen fertilizers are added. The other option is to compost the materials. This is a very simple system for the horse owner. The final product can be applied to crops; basically it acts like any other raw livestock manure in the soil. It should not be considered compost, however, because it lacks many of the desirable characteristics of composted manure. wood shavings) mix. The added fertilizer feeds the soil micro- organisms, so they do not need to steal soil nitrogen from the crops. Use only ammonium nitrate fertilizer with an analysis of 34-0-0 or ammonium sulfate fertilizer with an analysis of 21-0-0. Other types of fertilizer (especially urea) can be lost into the air and do no good. 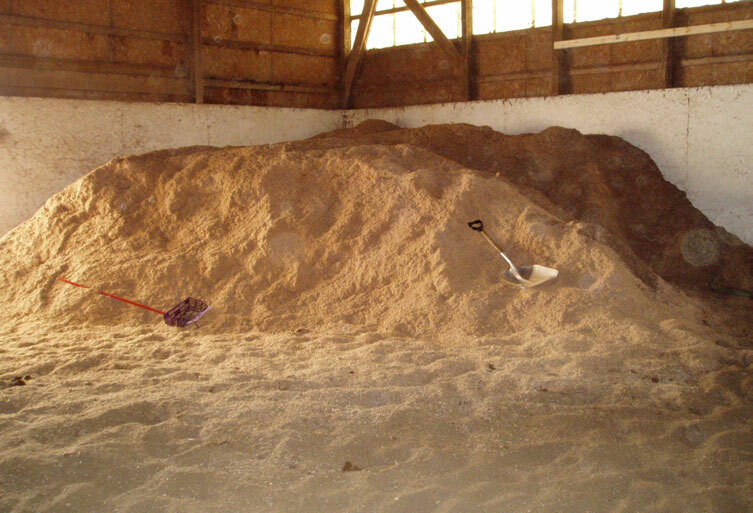 For a 1,000-pound horse, add about 1/3 pound (about ½ cup) per day of either fertilizer as the stalls are cleaned. Simply pick a stall clean with a manure fork, then add about ½ cup of fertilizer to the wheelbarrow or spreader. Adjust the amount of fertilizer for much smaller or larger horses. For example, only about ¼ cup is needed for a 500-pound pony. After the fertilizer has been added to the manure and sawdust or manure and wood chip mixture, it can be used immediately. It can also be stored for several months without losing the nitrogen. Then it can be spread when the field and crop conditions are best. After fertilizer has been added to a manure and sawdust or manure and wood chip mixture, it can be used immediately. For more information on the nitrogen enhancement system, get a free copy of the Ohio State University Extension fact sheet AGF-212, “Horse Manure Management: The Nitrogen Enhancement System” at http://ohioline.osu.edu/agf-fact/0212.html. horse manure also will not attract adult flies (Figure 7). In a properly operated compost system, the total amount of manure and bedding is reduced and the fertilizer nutrients are concentrated. It generally takes at least six to eight months to make fully cured compost. ordered from MWPS at 1-800-562-3618 or through the NRAES website at www.nraes.org. Wood shavings and saw- dust bedding can rob soil Follow the “nitrogen enhancement system” or compost these materials before applying them to the soil. Randall James, Ph.D., Associate Professor, Ohio State University Extension, can be reach- ed at james.7@osu.edu or 440-834-4656. The local contact for your land-grant university Cooperative Extension program is usually listed in the phone book under “Cooperative Extension” or “(county name) County Cooperative Extension.